Today we are giving away a DELICIOUS treat. 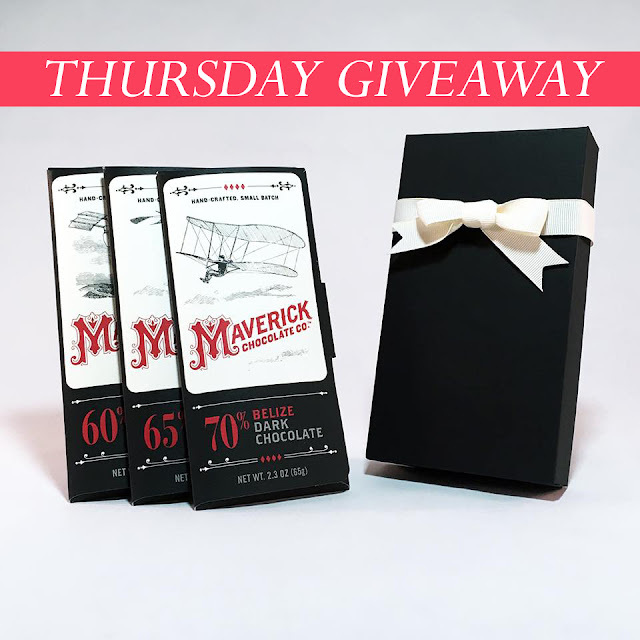 One lucky lady will win this 3 piece chocolate set from Maverick Chocolate Company. Never had Maverick chocolate? Well, you are in for a wonderful experience! These 3 different chocolate bars will come delivered to your door packed in ice and ready for enjoyment. We figured we may not be able to sit around and have birthday cake with you ladies for The Pearl Press' birthday month, but that doesn't mean we can't share some yummy treats! So get your entries, spread the word, and let's get this giveaway started!